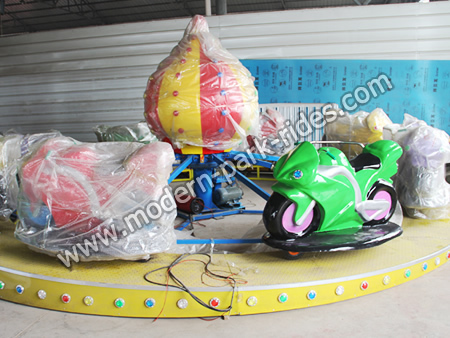 The theme park ride motor race rides is made of fiberglass reinforced plastics(FRP), equipped with gorgeous lighting, great music, Non-fading and durable painting. 1. All products has passed quality assurance system authentication. 2. In purchasing platform of all products are qualified inspection report and the complete documents. 3. Check and test the product function and performance.